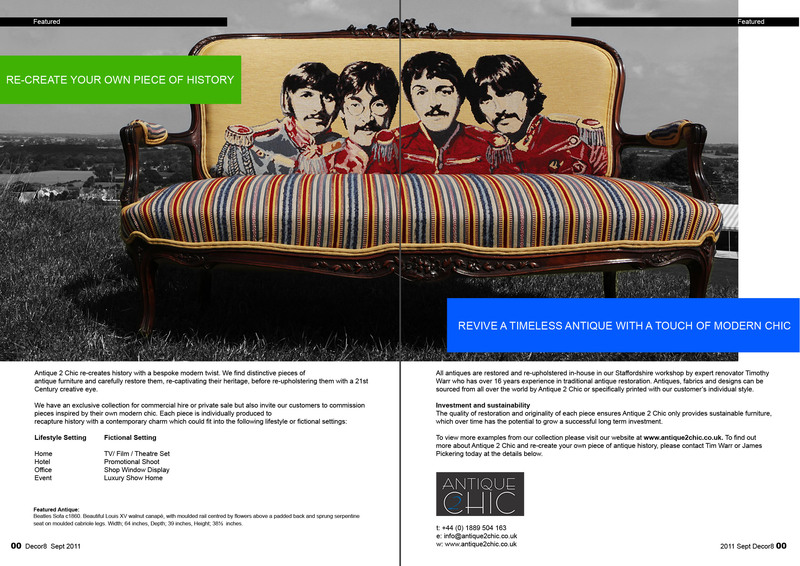 July 2011 - Antique 2 Chic sets out to revive a timeless antique with a touch of modern chic. 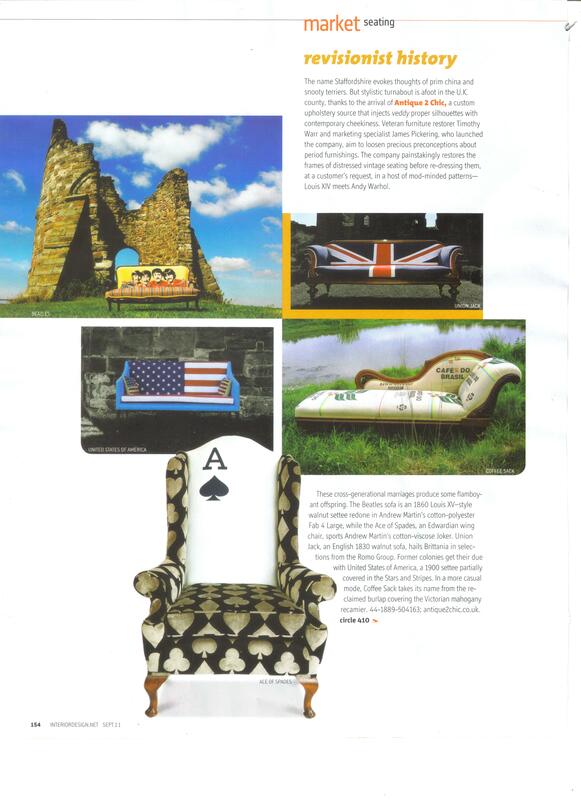 September 2011- Interior Design magazine / Market seating. 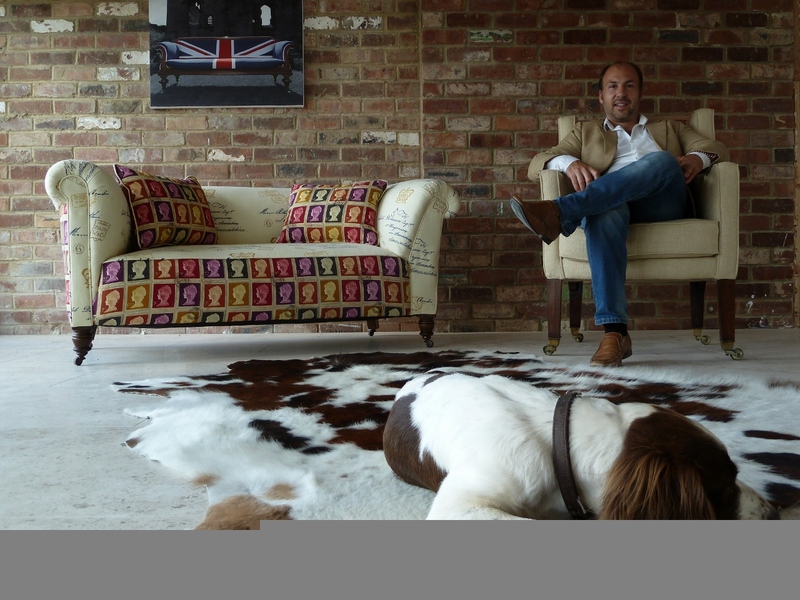 November 2012- Winner of the Theo Paphitis Small Business Sunday! April 2013- Guest Blog for the Timewarpian Magazine. 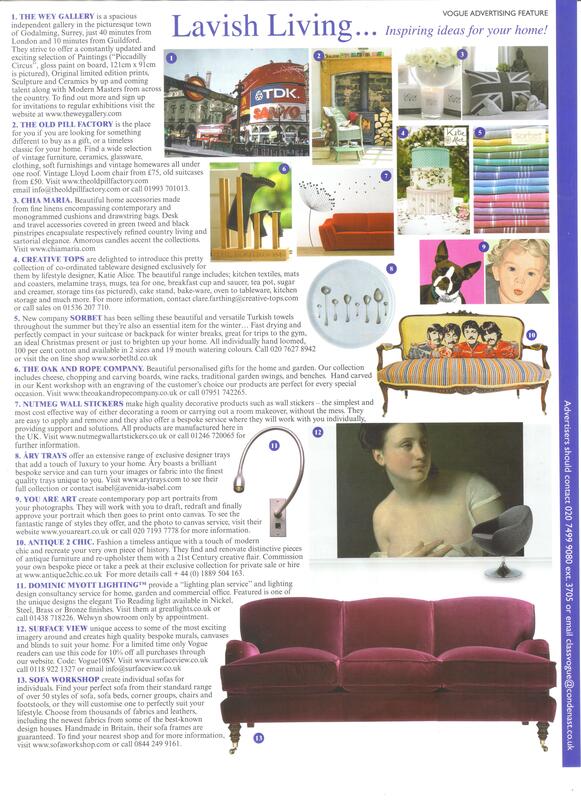 10th September 2013- Timothy Warr talks to Pascale Hayward from Luxurious Magazine on Antique 2 Chic. 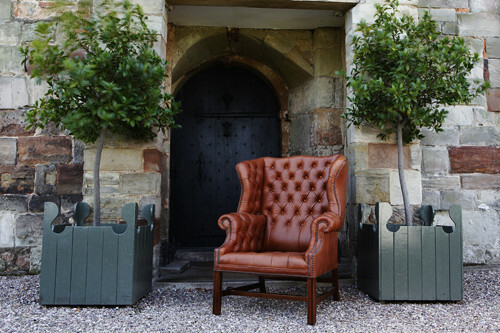 Charming gentleman’s deep buttoned wing chair with mahogany moulded front legs supported by stretchers, upholstered using the finest top grade tan leather and contrasting tri colour cow hide to the outside back, and finished with brass studs.